Ph.D. candidate, Sydney Smith received her Master’s degree in Clinical Psychology and Psychometrics. 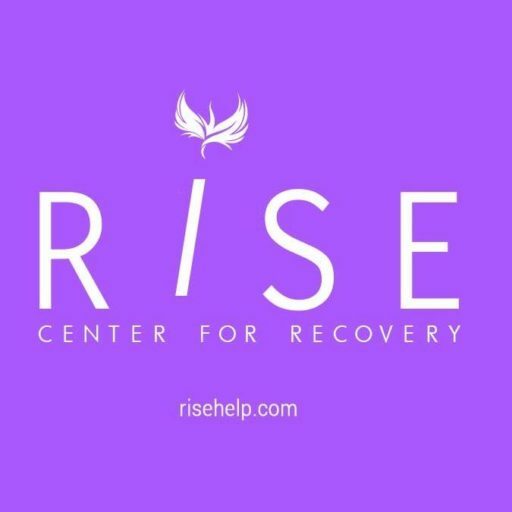 Holding licensure’s as a Licensed Professional Counselor (LPC), Licensed Alcohol and Drug Counselor (LADC), and Internationally Certified Gambling Counselor (NCGC-II), Ms. Smith brings a unique breadth of professional and life experience to RISE Center for Recovery. Devoting 15 years to the counseling field, she has spent the majority of her career working with co-occurring disorders as a substance abuse and gambling addiction therapist practicing in both inpatient and outpatient settings. Immersed in cultures ranging from small-town Oklahoma to the West coast metropolitan areas of California and Nevada, Ms. Smith brings a depth perspective into the field of psychotherapy. Her expertise resides in the treatment of problem gamblers and their families. Also having served as the Clinical Director of Family Services at The International Problem Gambling Center, Smith has brought added value to her current study. As a Behavioral Researcher, in collaboration with UCLA Psychiatry Department, Sydney Smith and her affiliates are conducting research focused on empirically based treatment of spouses and families of problem gamblers. Additional current research includes working with the Desert Research Institute in Las Vegas, Nevada on Problem Gambling education, prevention, and treatment among Native Americans in Nevada’s Tribal Communities. Ms. Depa obtained her Master’s degree in school counseling and is currently a Ph.D. Candidate in Clinical Psychology at Pacifica Graduate Institute. Melissa recently completed an APPIC Clinical Psychology Internship working in clinical forensics, and residential settings with individuals across the age span. In addition to these settings, Melissa has worked in the juvenile correctional system as well as at the Problem Gambling Center in Las Vegas, NV with a specific focus on the families of problem gamblers. Additional training includes specialization in addiction treatment, adolescents, and family work. Ms. Depa has 14 years of experience working in the Clark Country School District as a teacher and a counselor and is at present time actively pursuing her passion in the field of psychology focusing on clinical work, forensics, and research. Melissa has researched and presented on various topics at conferences including working with spouses of problem gamblers, play therapy, and infidelity. In her therapeutic approach she provides a depth perspective to her clients. Stephanie Nally earned her bachelor’s degree in Human Services from the University of Delaware. While working towards her undergraduate degree, she gained experience in the psychiatric inpatient setting as well as in the juvenile criminal justice system. Upon graduating, she focused her time and energy in the addictions field, working as a Certified Alcohol and Drug Counselor (CADC) intern with medication assisted treatment for the addiction of opiates in adults for the last 3 years. Currently a Master of Social Work (MSW) candidate, Stephanie is in her second year of studies with Boston University’s online program. She is completing her first MSW internship in a psychiatric hospital working with the geriatric population. Stephanie’s current research interests lie in the implementation and effectiveness of art therapy and yoga/meditation as counseling interventions. She earned a Fine Arts Minor from the University of Delaware during her undergraduate career and is dedicated to the practice of yoga, making her passionate about finding new ways to utilize these alternative therapeutic interventions in her practice. I received a bachelors of science degree in Human Services Counseling with minors in addiction treatment and prevention from the University of Nevada, Las Vegas (UNLV). I completed my undergraduate internship with Child Haven working with children and families work towards reunification as well as at Harmony Health Care observing their addiction treatment program as well as co-facilitated their aftercare program. After graduating with my bachelor’s degree, I began working with a behavioral health agency as a Psychosocial Rehabilitation (PSR) provider working with children. I went back to school to earn my Master’s in Social Work with a concentration in direct practice at UNLV. While in school, obtained a position as a substance abuse counselor with a substance abuse agency that focused on treating adults with opiate addiction through medication assisted treatment and was given the opportunity to complete an internship as a licensed drug and alcohol counselor. When I became licensed, I was promoted to the Director of Outpatient Services and provided alcohol and drug related evaluations, counseling, and psycho-educational services to adults who were referred by parole and probation, out of state court systems, and the department of welfare for drug related charges. In my experience working with addictions, I realized that many of my patients also had co-occurring mental health conditions and diagnosis that were outside of my scope of practice. I left my position and the agency after working there for four years to pursue my LCSW. I completed my post graduate internship with an outpatient behavioral health agency and then with an inpatient adult psychiatric facility. I am currently working towards a doctoral degree in behavioral health through Arizona State University. The focus is in developing and delivering integrated behavioral care treatment programs in primary care and other medical settings with the overall goal in improving our health care system and health care delivery. I enjoy working with clients with co-occurring disorders through a humanistic, whole person perspective, and use therapeutic approaches in cognitive behavioral therapy, solution focused therapy, and motivational interviewing.